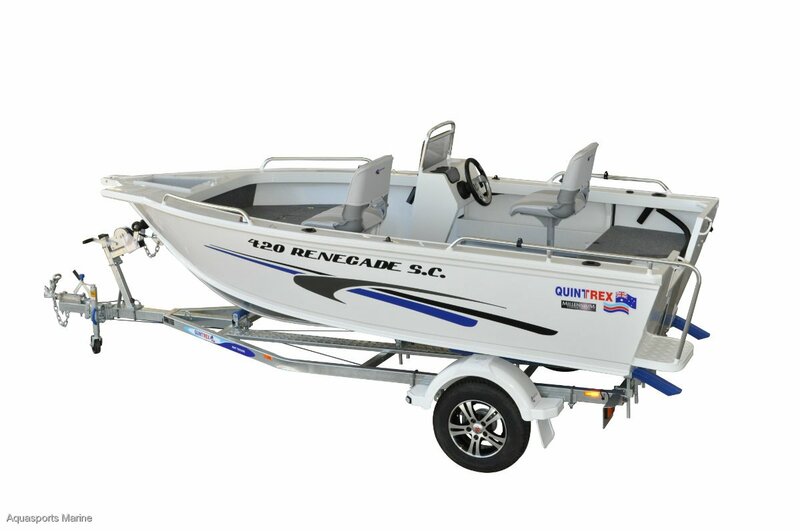 The Quintrex Renegade Range, due to popular demand, has been expanded to include three new models; 420,440 and 490 in addition to the 460 and 520. 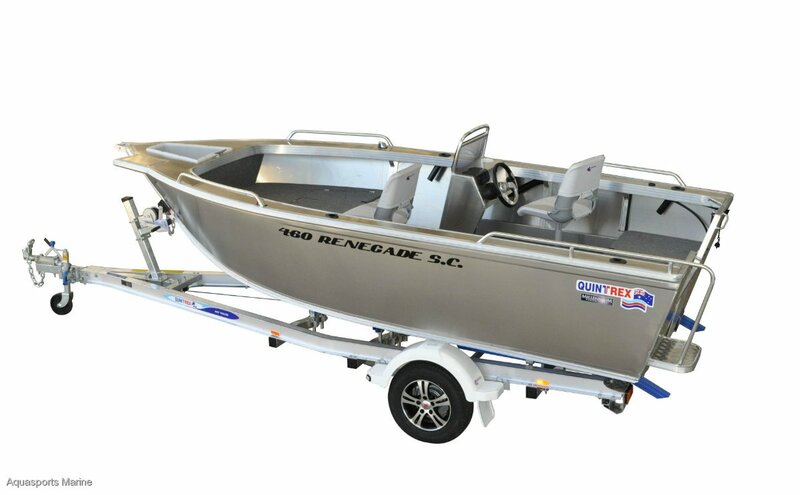 Each model in the range is available in a selection of tiller, side and centre console configurations. 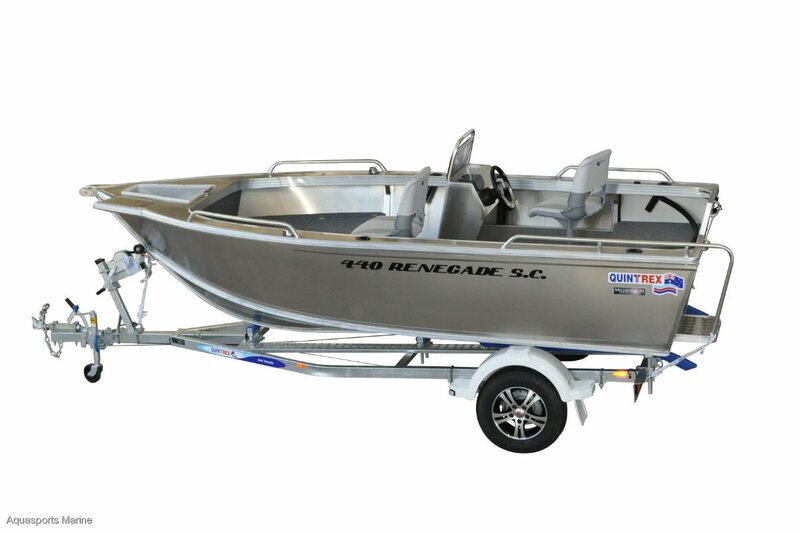 The Renegade range was developed with the keen fisherman in mind and these no- fuss boats are equipped with all the necessities to get you straight out on the water. 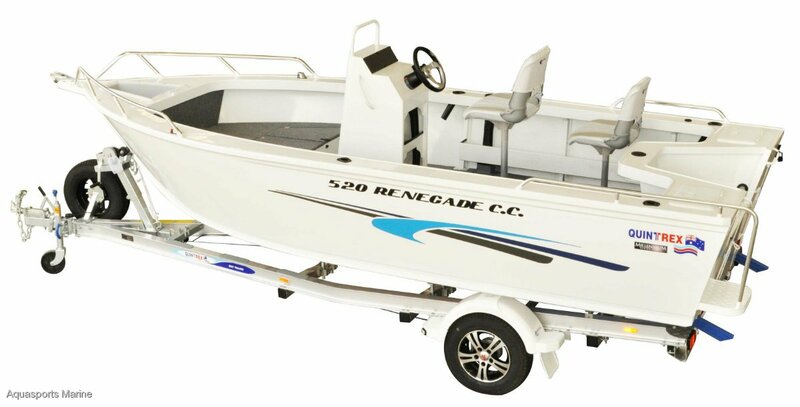 All Renegades are constructed with 3mm Bottom, tops and sides and all standard with the multi award winning Millennium Hull. Available unpainted or painted - your choice!! 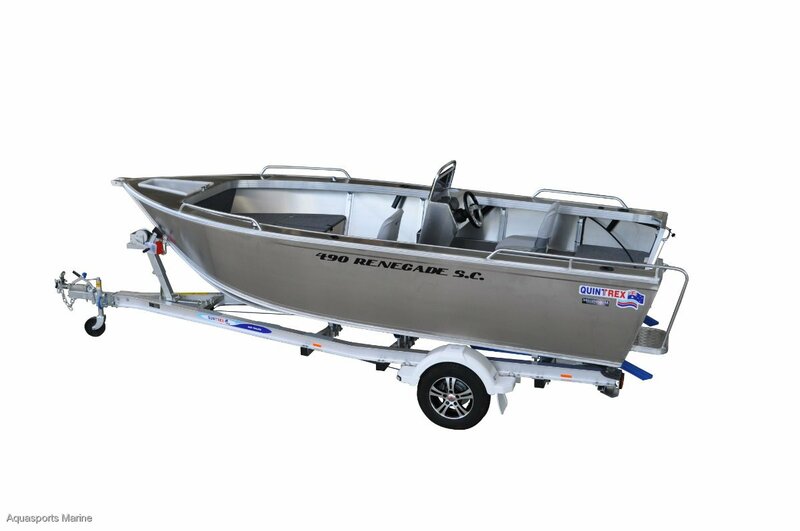 Our prices include 12 months boat & trailer registrations, life jackets, flares and anchor kits.